Zazzle is an online business that allows people to customize Zazzle products. ...and just so much more. 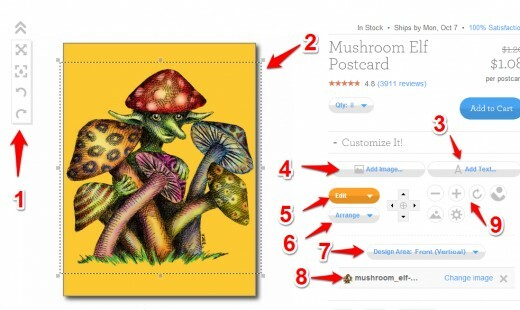 If artwork can be printed on it, you will most likely find the product on Zazzle. And the quality of their printing is excellent. 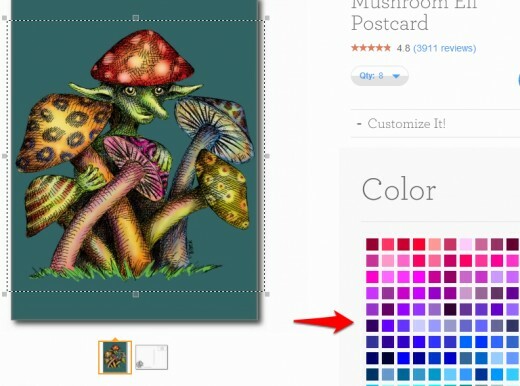 Zazzle not only allows individuals to go in and upload their own photos or drawing, add text, and so on, but it also allows artists to create their own store with their own designs. 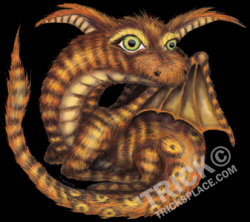 So if someone likes an artists Zazzle design and it's on a product they want, they can buy it. The artist gets a small percentage of the profit. But what most people don't realize is that those existing products with those cool designs on them can be customized even further, unless the artist explicitly checks a box that doesn't allow it (which sort of defeats the purpose of Zazzle in my opinion). 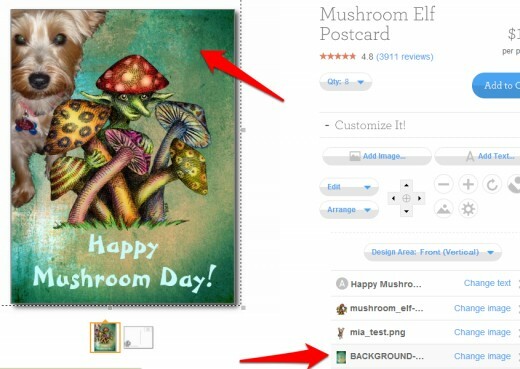 Most products on Zazzle allow people to use the "Customize It" button, which will allow them to customize the existing artwork the way they want to. This includes adding text , a phrase, or someones name, adding their own images on top or behind existing ones, changing background colors when they show, and so on. Not only that, but if you see a graphic you like on a shirt, but you want it on a different shirt, you can easily change to any of the shirts, or colors available. This holds true for most product types. Many don't realize this and think they would need to buy the product "as is" rather than customize it or personalize it. 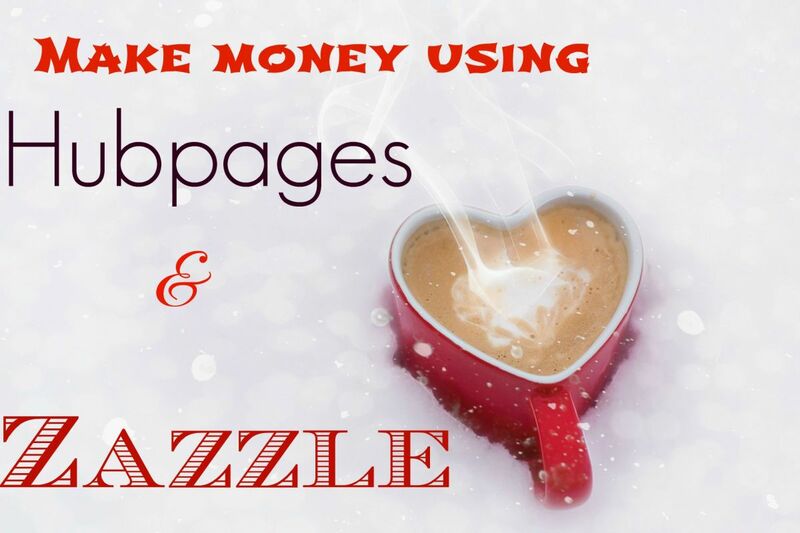 In this article I'm going to show you how easy it is to customize existing designs on zazzle, and how you can do a whole lot more than you probably think if you are unfamiliar with Zazzle. 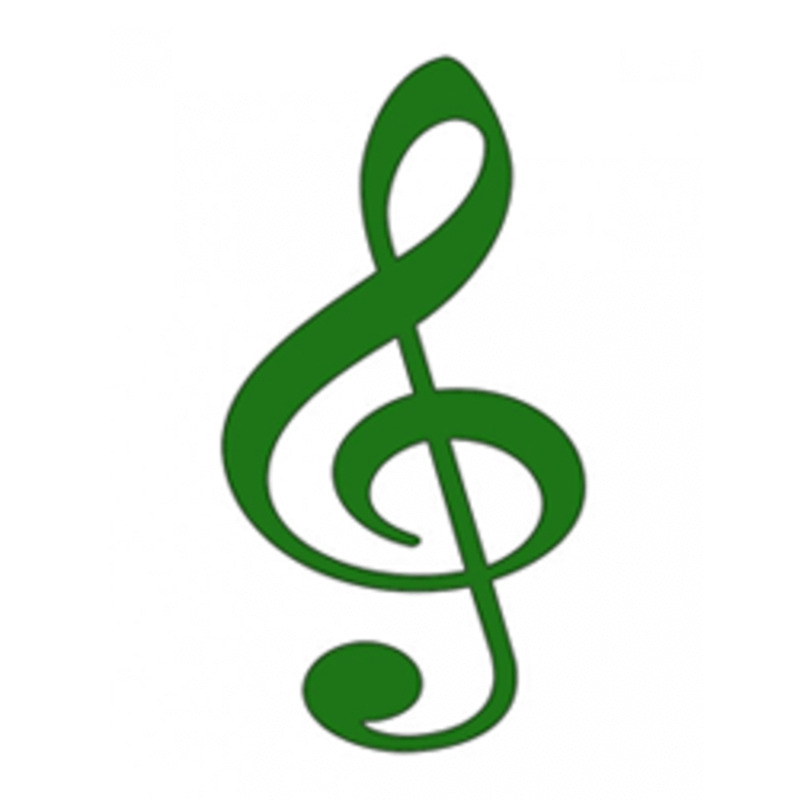 All of my products within my Zazzle Stores are entirely customizable. Most of them also have transparent backgrounds, which means you could even change the background color to your own liking or even upload your own background to it! You can add text anywhere you want, and so on. Visit tricksplace.com to check out my fun artwork! Take a look at the image above. It's a screenshot of a postcard I have on my website (this image is on a number of different products, but for simplicity sake I thought I'd use a basic postcard). I placed a red arrow to point out where the "Customize It" button is, as that is where all of the magic happens. Once you click that button, you will see certain things show up on the right hand side and a dotted line around the image that will allow you to move or resize it. 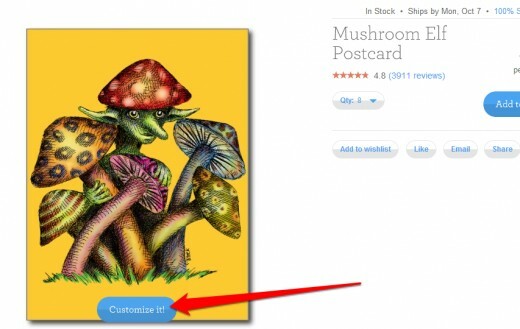 Have You Used "Customized It" In Zazzle? 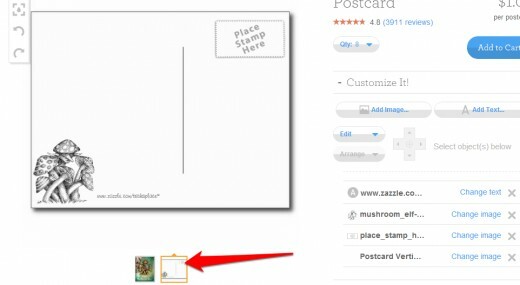 Have you ever used 'Customize It' in Zazzle? Yes, I've customized existing designs! No, I've never customized an existing design. No, I just found out about Zazzle. I'm new to it. No, but I've created my own Zazzle designs from scratch! (1) Allows you to increase the size of your view, see red boundary lines where you want to keep images, and also undo and redo changes you made. (2) If you click on the image you can move it around, or if you grab a hold of one of those little dots, you can resize the image simply by dragging the mouse. (3) Allows you to add your own text anywhere you want! You can use any font size and the selection of font types Zazzle gives you is very abundant! (4) This is where you can add your own image (upload your own). This can be anything from a picture of a person that you want to put in front or behind the existing picture, to a background texture that you want to add in the background rather than the yellow color you see! You can add as many images as you want. They will be layered from top to bottom, but you can move them around. (5) Selecting "Edit" will give you a drop down of options such as: Undo, Redo, Select All, Select None, Cut, Copy, Paste, Delete, Move to Back, Clear Side, and Background. For this example we will be using "Background" to change the yellow background color to some other color. (6) Selecting "Arrange" will give you a number of options to move stuff around if you want to do it this way (I usually just manually drag the stuff). It also give you options to rotate the image or text that is selected. (7) Design Area allows you to change the postcard from vertical to horizontal. Basically it changes it from a portrait type view to a landscape type view. If you were to do it for this image, you'd want to rotate the image accordingly and shrink it to fit. (8) This is the image of the mushroom elf. If you delete this, it will remove the elf image from the card. When you add text or other images, they go here one on top of the other. You can reorder them any way you want here. So if you want text to go over the image, it should be on top (before it). If you want something behind the image it should go after it. (9) these are other options for rotating, shrinking or expanding, and so on. I wouldn't worry too much about these options right now, but they are there if you want to use 'em. For now we'll focus on how to shrink or move the image, how to change the background color, how to add your own background,, and how to add text! Suppose you like the art but you want the background color a different color. That's easy to do. After you click on the "Customize It" button, find the "Edit" button, go down to the bootom of the list that comes up and select "Background". This will give you a color pallet that you can select from for the background. Pick a color and then scroll down and select "Done". For the example above I chose sort of a charcoal blue-ish color. Easy right? This can be done for almost all of my products, though I recommend not doing it for shirts as you are better off just changing the shirt color rather than a colored block behind the image. You can use any color you want, or white, or black. Try 'em out yourself! My favorite pens. Draw smoothly with no blobbing. Great. Love using a tablet at times. (1) This is what you click on to add text. I added "Happy Mushroom Day" as I couldn't think of anything too witty to place on it, but you can add someone's name, or anything really. (2) Change the font size. You can also do this by dragging the text using a corner dot. (3) Change to text color. I made it a light blue to go with the dark blue background. (4) Change the font. When you hit this a list of fonts will come up that you can try out. Some are very cool. For this one I used a font called "Ryan". (5) Just like the image, you can drag the text around, or resize it, just my using the mouse. Play around with this to get a feel. (6) If you want to change the text you typed, simply hit this button and it allows you to simply change the text. 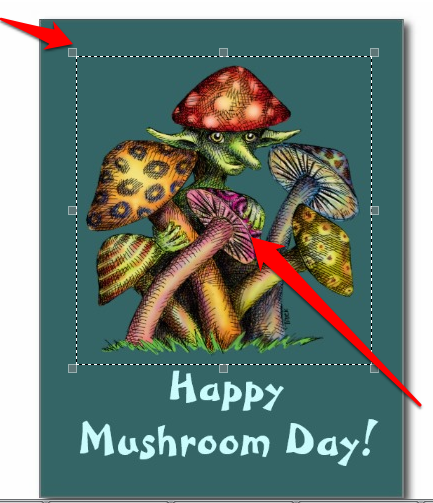 For example, I decided to hit after "Happy'" so "Mushroom Day!" showed up below it. You can play around with fonts, colors, and sizes until your heart's content. 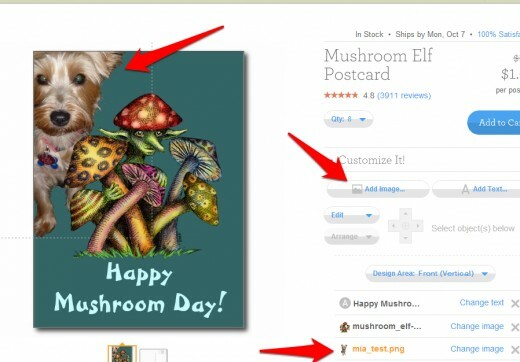 This really allows you to personalize the products on Zazzle. Also keep in mind that the price does not change. It's the same whether you customize or not! Though it probably wouldn't be necessary to change the size of the example image, I'm going to do it anyway to show how easy it is. To shrink it, all I did was grab a corner with the mouse and drag. Or I could have enlarged it so the elf face took up the entire postcard. I decided to go with making it smaller. To move the image around, simply grab in the middle of the image and drag it where you want it! 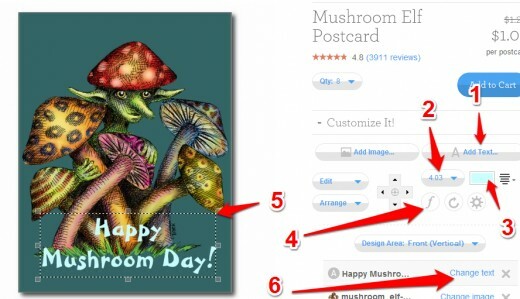 You can easily add your own images to existing designs in Zazzle. Simply click on the "Add Image" button and upload it. I recommend making the background transparent unless you don't mind a square box behind it (which can work as well), and saving the image as a .PNG file. If you don't have software such as photoshop, you can use free software such as Gimp to do this. Once uploaded you can resize it, move it around, or move it to the forefront or to the background. For the above I quickly added an image of my doggie Mia and placed her in the background...almost as if she's sneaking up to the elf. Notice where it says mia_test.png and that is under the elf image. If I wanted Mia in front of the elf I'd simply drag that image so it is first in line. If you have the time, you can imagine the possibilities here. Perhaps place a childs picture behind, in front of, under, or to the side of a really cool graphic that's on Zazzle! If you didn't like the solid color background, using the same technique as adding the dog image above, you could add your own texture that you have. 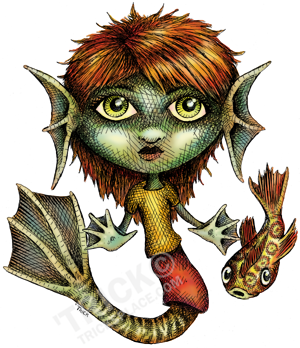 Take a look at the background texture I added to the postcard here. The point here is that you are not limited to the artwork that is at the store. You can customize that artwork in any way you want, to your own liking, and make it really personalized. Or if you like the artwork as it is, you can simply leave it that way and buy the item like that. It's up to you, and the cost doesn't change either way. You might notice that many products have a backside that is entirely customizable as well. Any type of card for example. For the above postcard you can customize this side until your heart is content as well. Perhaps you want to create an entire postcard note or message on this side, or add an image. Just use the same techniques as you did the front of the postcard! Once your creation is complete, just pick your quantity, add to shopping cart, and check out. You can also save your creation and check out later. Think My Mushroom Elf is Cute? Want to know how to draw Super Adorable Cuteness for yourself? Check out my article Super Adorable Cuteness Overload in Art! Check Out a Few of My Customizable Zazzle Products! Psychedelic Art! a Varied Collection for Your Mind! Behold!! Have You Checked Out Zazzle?